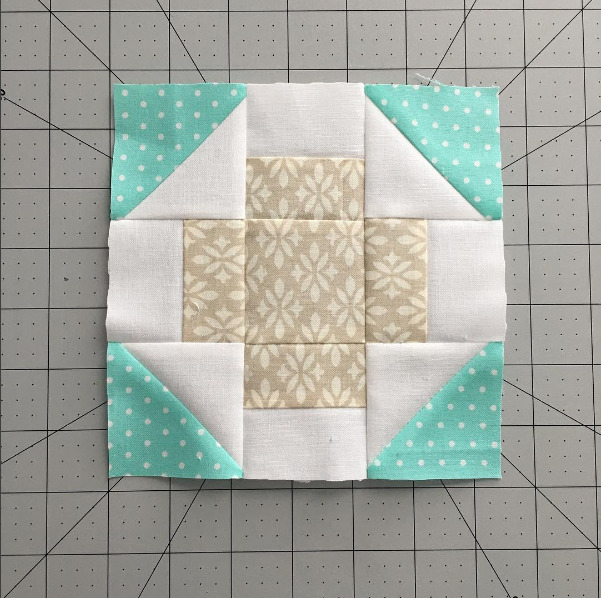 This block is just a variation on a simple churn dash block. I received a 12.5″ version for a swap and immediately knew I “needed” it in my sampler quilt as well. Make 4 HSTs from the 2 corner sets. Do this by drawing a line on the wrong side of the white squares, then sewing 1/4″ away from the line on both sides. Trim to 2.5″. Sew the (2) 1.5 X 11 strips together. Cut into (4) 2.5″ squares. Assemble and enjoy!